January 2019 was unpredictable. Brexit, the weather, the economy, post-Christmas retail sales figures and credit card bills hang heavy in this month but the predictable part is that the first day of Spring draws ever-closer and each day passed adds another minute of extra daylight. Woohoo! Another predictable event is the start of the car auction calendar and as usual The Car Spy is keeping a keen eye on activities to see what clues we can glean from the state of the car market here in the UK and then next month in Europe. Car auctions are probably the best indicator of car values we can refer to when it comes to the buying and selling of cars. If we had a British Pound for every time we were told by a seller that their car was ‘worth “x” all day long’ then yours truly would be sitting on a super-yacht in Monaco whilst writing this post. Reality is an unpleasant experience when it comes to a market correction in car values but it is unavoidable. For the past ten years we have seen astonishing prices paid for sometimes very mundane models (in our opinion) and excessive premiums paid for the privilege of owning certain new models. So what’s new for 2016? Fresh off the back of our attendance at the 2016 WhatCar? Awards, we are looking forward with anticipation to some hot new models this year that are set to become future collectables and cult classics. It is well known that 2015 saw a real increase in consumers continuing to invest in ‘modern collectables and classics’ with manufacturers now notably choosing to build special editions and models that are likely to become future classics. (For example BMW M2, Ford Focus RS, et al). We have found interest in buying these types of models (both new and used) at an all-time high, with many vehicles fetching crazy premiums on the open market over and above the manufacturer’s list prices. The UK market has truly become a hotbed for speculators taking advantage of this situation. For instance we have seen a huge influx of collectables heading our way from overseas such as the Lamborghini Murciélago SV, Ferrari Scuderia and GTO models, plus Porsche models consisting of the sought-after RS derivatives. In the meantime new models to look forward to this year include the following…. Audi‘s new A5 and Q5, the Aston Martin DB11, Alfa Romeo’s Giulia, the most hotly anticipated BMW of recent times – the M2 plus a new 5 Series and the M4 GTS. The game-changing Bentley Bentayga and deliveries should also start for the Ferrari 488 Spider. The Ford Focus RS is definitely coming and ‘maybe’ the GT, the all-new Honda NSX, Jaguar‘s first SUV offering – the stunning F-Pace, two stunning Lamborghini Spiders – The Aventador SV Roadster and the beautiful Huracan Spider. High hopes for the new Land Rover Discovery 5 and the Range Rover Evoque Convertible. Maserati will also join Bentley and Jaguar with a new SUV – the Levante. McLaren‘s world-beating 570 and 540C start to hit the UK streets and Mercedes-Benz will deliver the new E-Class – a true benchmark saloon and (hopefully) an AMG GT Black Series. Nissan are penciled-in to bring us more NISMO lines and Porsche will be replacing the controversial yet brilliantly engineered Panamera. Renault should be bringing us a new Megane with an ‘R’ version to follow. The highlight of the summer months will arguably be the beautiful Rolls Royce Dawn. Tesla will be looking to head deep into the corporate sector with the new Model S, a smaller 3 Series and C Class competitor and finally, Volkswagen will be launching the potentially bonkers Golf R400! Phew, quite a list! I’m sure you are as excited about the coming year as we are since there are going to be some cracking new cars to drive. Next stop the Geneva Show in March when we will be giving further updates to the individual model releases! 80’s kids will remember the trio of ‘Rice Krispies’ mascots and their relevant monikers…some 80’s kids (Well not many actually) will also remember the original Audi Quattro that blitzed the international WRC Rally stages and genuinely elevated Audi into the UK and European mainstream of household names…The spiritual ancestor for this car – The road going Audi Quattro ‘Coupe’ was of course recently serialised in the ‘Ashes to Ashes’ BBC 80’s cop drama. On the way back from collecting a brand new Bentley GT Speed from leafy Surrey, James Scanlon at Tunbridge Wells Audi invited me to drop in and take the new RS for a spin. He said I could drive it as hard and as fast as I wanted and the only rule was if I crashed it – I bought it… (Only kidding James!) But of course, I duly obliged. So what’s so special about this then and why should you buy one? – It’s not chintzy like a Mercedes A45 AMG so you wont look like P-Diddy on a pay cut. Audi genuinely are the masters at understatement. Nobody – (but you and a few keen-eyed enthusiasts) will have a clue what the car is, and more importantly what it’s capable of). The only clues are – Wheels, Arches, Exhausts and maybe the subtle rear roof spoiler (take note Mercedes). – It’s (currently) the most powerful hot-hatch on the market. Mercedes are due to increase the power output of the AMG A45 to 381 BHP – from 355 BHP – in a strange game of ‘My D is bigger than yours’ with their Ingolstadt rivals…There is of course the BMW M135i, lots of rear-wheel drive hooning – but I couldn’t live with its sad face or fat bottom. 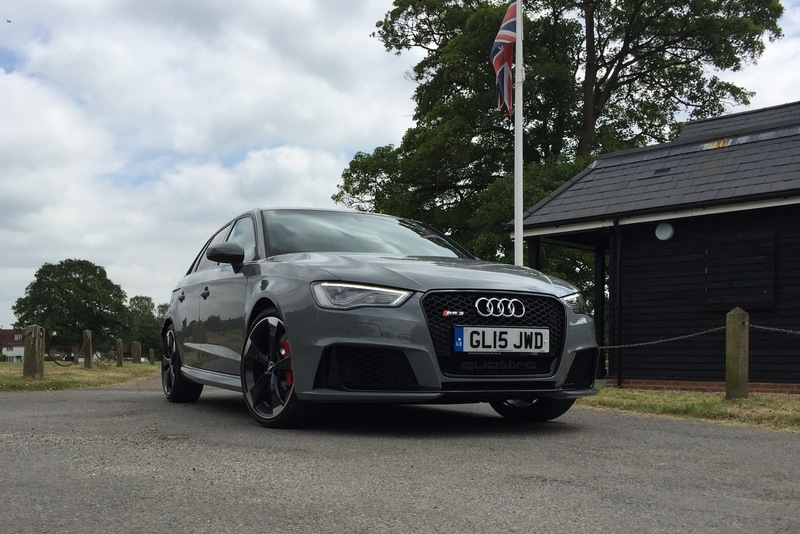 The RS3 hits 62 MPH in 4.2 seconds from a standstill. – It’s practical. Genuinely. Having been a ‘hot hatch’ fan-boy for many years now (After owning and driving all different types of cars) I feel that a fast hatchback is the ideal car for UK roads. UK roads are terrible, the weather is largely mixed and the roads just aren’t big enough to drive everywhere in something like the Bentley I had arrived in. This suits the Audi pocket-rocket and its fantastic Quattro system perfectly. 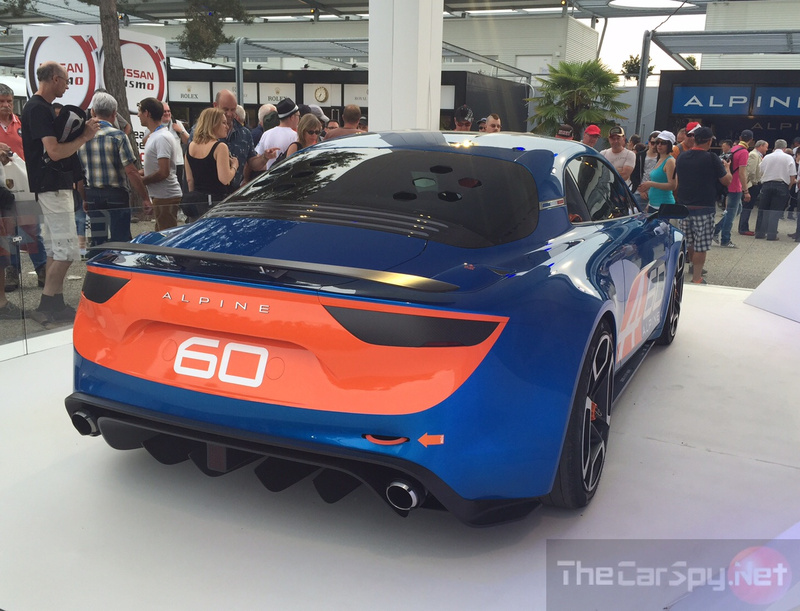 – It’s limited to 155 MPH. I know that the Germans have been doing this for some time now, but this car really feels like it could easily push through that barrier (174 MPH Unrestricted)…Of course I didn’t try this on public roads! – It’s reassuringly expensive. Not joking, this demonstrator lists at over £42,000 OTR (WOW.) – Why is it a good thing? Because it’s a genuine performance car. I happened to be standing in a BMW dealership recently, looking at an M3 Saloon whist I was waiting to see somebody. I couldn’t help but notice the OTR price was quite a way over the £60k mark. £60k! Yes, it has 40 BHP more and looks quite fancy but come on…a 20k premium? ‘Small’ cars are getting bigger and more powerful…bigger cars are becoming more fuel-efficient and environmentally conscious. (Note the Audi A8 E-tron Hybrid, Mercedes S400 Hybrid and BMW Active 7 Hybrid). This is the way the market is being driven due to demand and customer buying attitudes. So whats it like to drive? Quick. Very quick. Like the rapid A45 AMG this RS3 is a genuine license loser. The soundtrack is addictive BUT it really can be driven sensibly when you aren’t pretending to be an 80’s rally driver. It isn’t deceptively fast, it feels physically fast with a soundtrack to match. This car had the standard exhaust system but I’m told it can be upgraded to a Sports Exhaust system – this I would be interested to hear! The whole thing (Engine et al) is mated to the superb 7 Speed Twin clutch (think DSG) gearbox that helps to really pull the car enthusiastically towards the horizon. The suspension and ride are fantastic compared to its predecessor, I expected it to be a bit of a bone-shaker like the much maligned (but now collectible) previous 8P RS3 but it really coped exceptionally well over a large range of road surfaces. Interestingly the car seemed to adapt to my driving style through different conditions. You can change the driving dynamics of the car by using Audi’s drive select function activated through the MMI Screen. 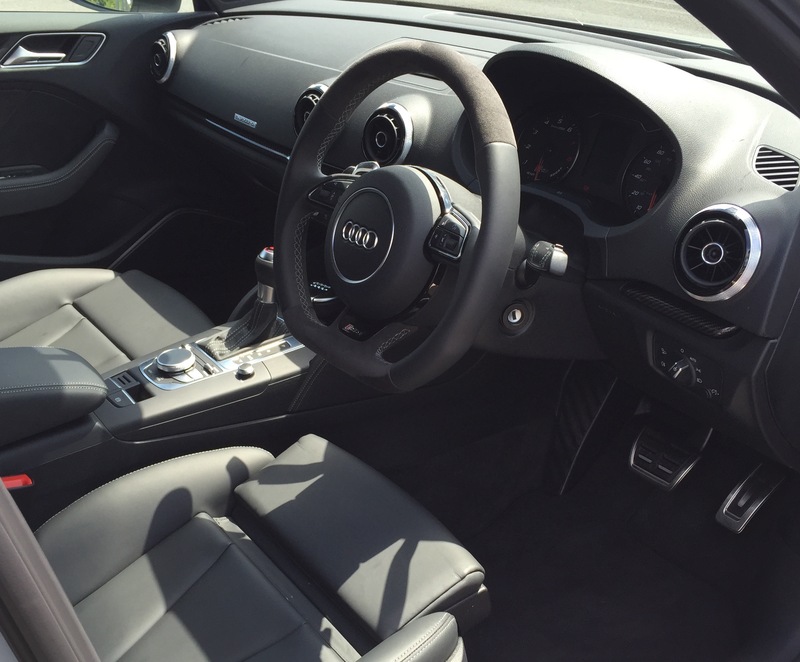 Settings are; Comfort, Auto, Dynamic or if you are feeling particularly ambitions – Individual. Audi’s often come under fire from road testers and the general motoring press in the UK for having a lack of steering feel or slightly underwhelming handling, my argument is yes, they often do feel like driving a car in a computer game, but they are often – like the RS3 – extremely competent. It does exactly what its supposed to do. It feels surefooted and well planted 99% of the time and only really skates or skits across the surface somewhat if you start to get a bit too trigger happy through some S-bends. For most drivers, this car is perfectly adequate and capable and will probably make you feel like a better driver than you actually are. Fuel consumption, No idea. You don’t buy a car like this and worry about fuel, but the Audi boys tell me that the RS3 achieves around 34.9 MPG. Fascinating! 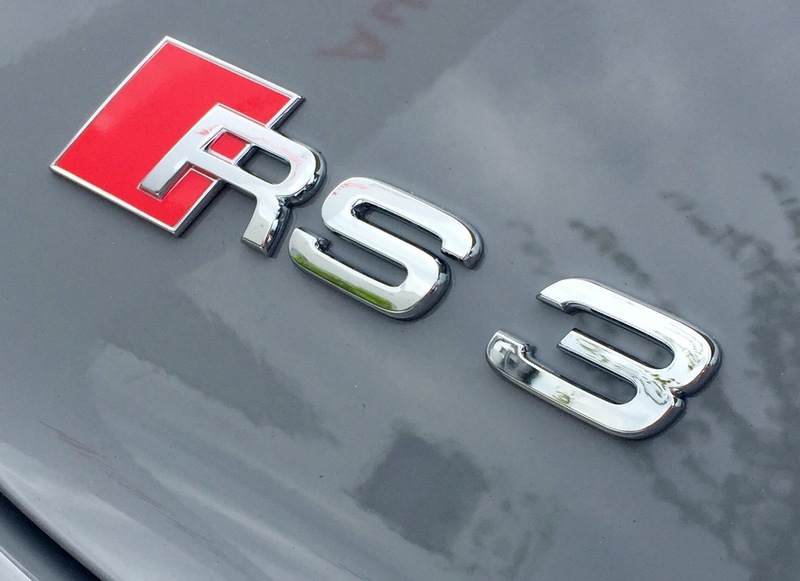 As a brief summary then – Yes, the RS3 gets my vote. A much improved and needed upgrade from the previous generation. Go buy it, even in that daft ‘primer’ grey colour. You can throw in your wife and kids (plus some luggage) and have a sensibly rapid, rally stage drive to the next town with a Sainsbury’s local. Oh and if you were wondering – Snap, Crackle, Pop is the sound that comes from those exhausts (and the ensuing whiplash). After speaking to the lady in question on the phone and confirming that everything was kosher, the short straws were drawn and fortunately I (Mark) drew the longest one, so would be the representative for TheCarSpy.Net over the duration of the weekend. Dawn at Rain PR (Pistonheads PR partner) e-mailed me to say everything was confirmed and I would be receiving a special package via UPS the day before I would be due to leave (Friday the 12th). Katie Blake from Rain called me to check that I had received my parcel and that I had everything I needed for the trip, she would be our guide and personal assistant with us for the duration of our stay. 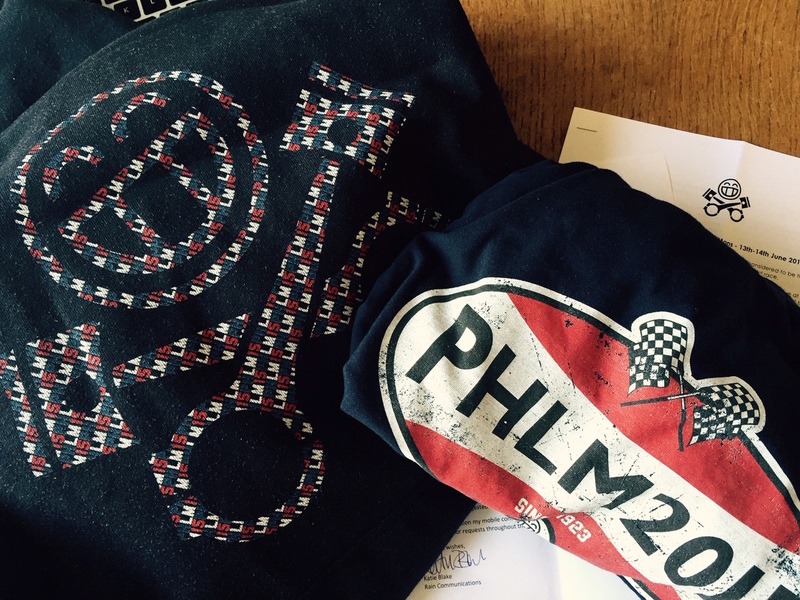 It contained tickets, instructions and a PHLMS 2015 T-Shirt and Hoodie. It was confirmed that I would be travelling to Le Mans by train, there was an option to travel by Bentley – (more on that to follow) but I decided that with the likely high intake of alcohol about to be consumed the train would be the better option for me. My Rain PR Le Mans prep pack informed me that I would be travelling with Stuart Masson from The Car Expert, I hadn’t met Stuart before but had heard about and read his blog. We exchanged a few messages before leaving and agreed it was easier to meet at the Eurostar Terminal at St Pancras. After doing some last minute emails I left our offices just after 9 am and headed up to St Pancras to meet Stuart, he had told me to keep an eye out for his ‘Olympic Sized’ Australian flag (I thought he was joking!) that he had bought with him in support of fellow Aussie and Porsche LMP1 driver – Mark Webber…so as you can imagine it wasn’t particularly hard to spot Stuart when I did arrive at the terminal! Meet and greet, Euros withdrawn and check-in sorted, we grabbed a quick snack and boarded the Eurostar to head to Paris. We decided not to drink until we arrived at LeMans, the journey was spent mainly discussing current cars, general car chat and just about anything car-related. One thing that became obvious to me pretty quickly was the fact Stuart is hugely into motorsport – with a particular passion for the 24 hour race. I’d like to think I know quite a substantial amount about cars but to be fair, other than F1 I really don’t know a great deal about motorsport. The Car Expert then set about educating me on the different classes within Le Mans, what they meant, the drivers, which manufacturer was likely to win etc, etc. The journey passed relatively quickly, we were booked on a train from Paris Montparnasse to Le Mans so would have to use our limited knowledge of GCSE French to navigate the Metro system (which is massive, slow and very hot) but we survived and resurfaced from the catacombs of Paris to board our train to LeMans. I must admit I was impressed with the TGV, its arguably quicker, cleaner and more efficient than the Eurostar. 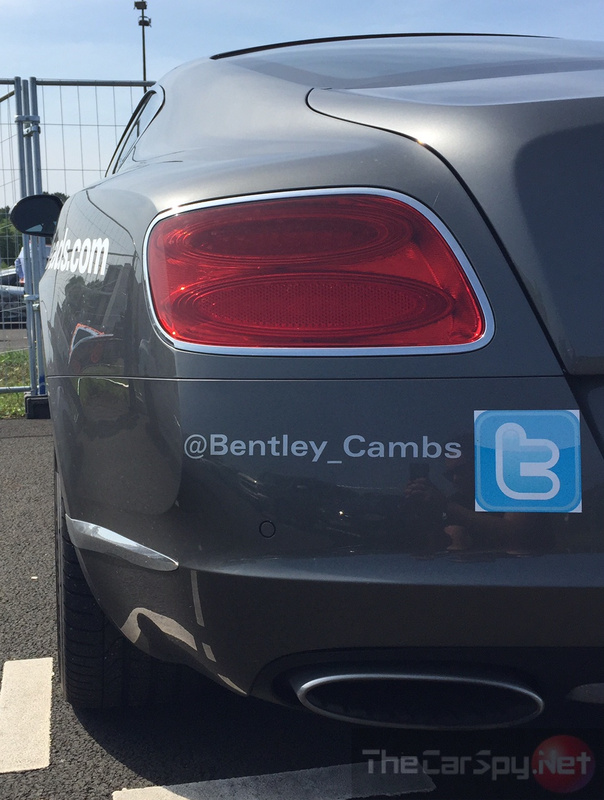 We were receiving constant updates on WhatsApp from the PH crew travelling by Bentley convoy of their arrival times and status. 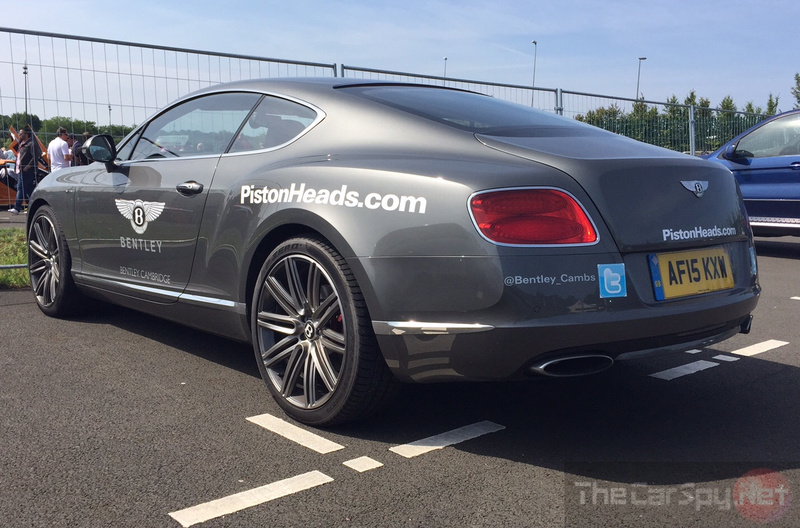 Bentley Cambridge had kindly provided Pistonheads with four brand-new Bentleys – a Continental Flying Spur (CFS – as it’s known in the trade), GT Continental (GTC), GT Speed and a stunning flagship Mulsanne. The text from Katie came, so we headed to the tram stop that would take us all the way to LeMans. It was a short and relatively easy journey and the stop was a 5 minute walk from our private PH camp. After some faffing around and general confusion about which direction we were supposed to be heading, we managed to find Katie and she led us to the camp. Upon arrival at the camp, we were shown the facilities and our tents for the trips, and introduced to the rest of the guests. The PH team made themselves known to us and the rest of the guests and within 20 minutes we were sat having a drink and a superbly cooked meal with Lee Williams (Executive Director of Pistonheads). 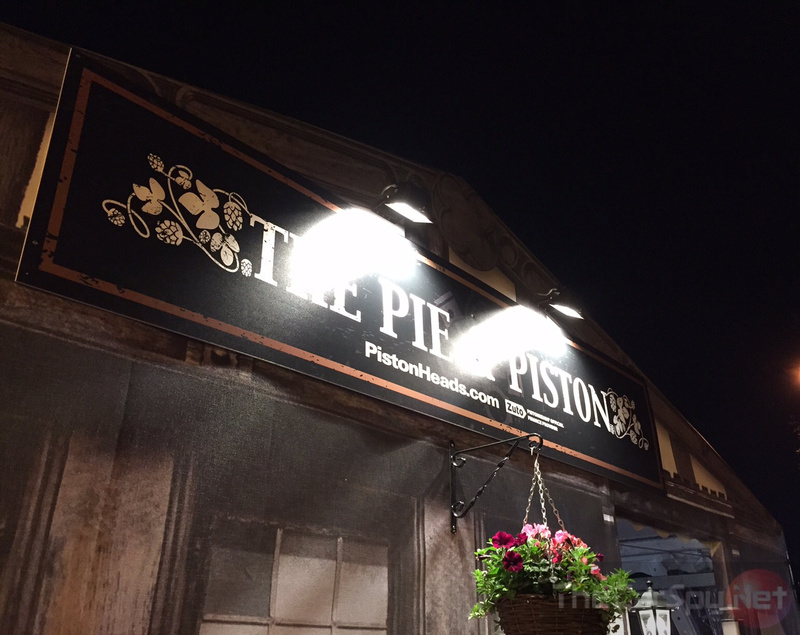 After talking about cars, business and general PH-type chat for a long time, we decided it would be best to head to the ‘Pie and Piston’ – a Pistonheads-themed English Pub to mix it with other PH’ers and members. It was a quaint little set up that enough space for a beer garden and general pub-rowdiness. 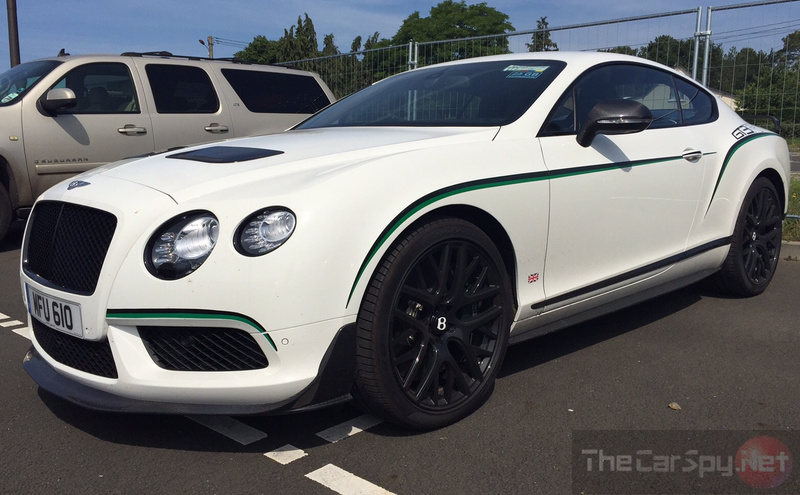 We met some interesting people including a great chap called Mike that had just taken delivery of his brand new Bentley GT3 R. He had been invited down by Bentley Cambridge to drive the car on the Mulsanne circuit as part of the celebrations. After chatting and drinking for quite some time (I even bumped into some old school friends – Si, Sean, Rob etc!) we decided it was probably best to head back (at 3am!) to be fresh for the big day. 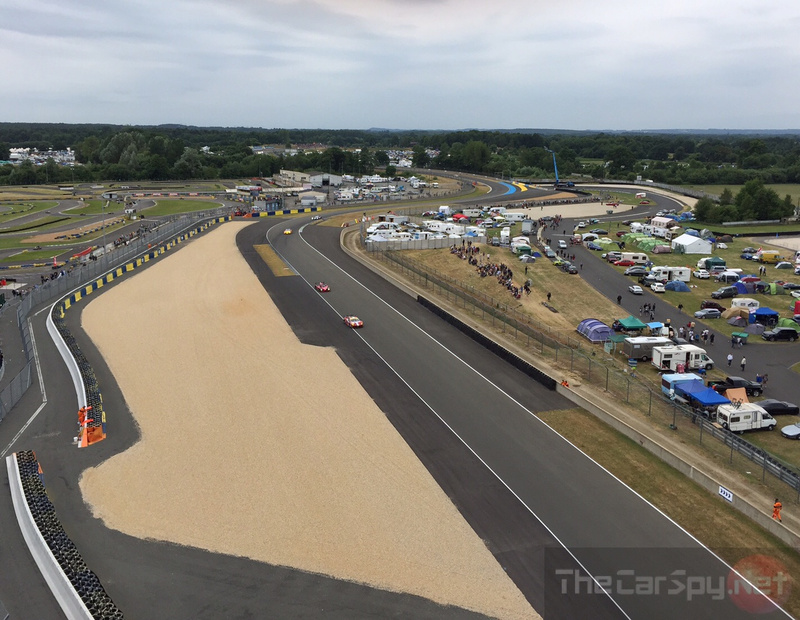 The day I lost my Le Mans virginity. Full-English was the best start to the day in such circumstances. 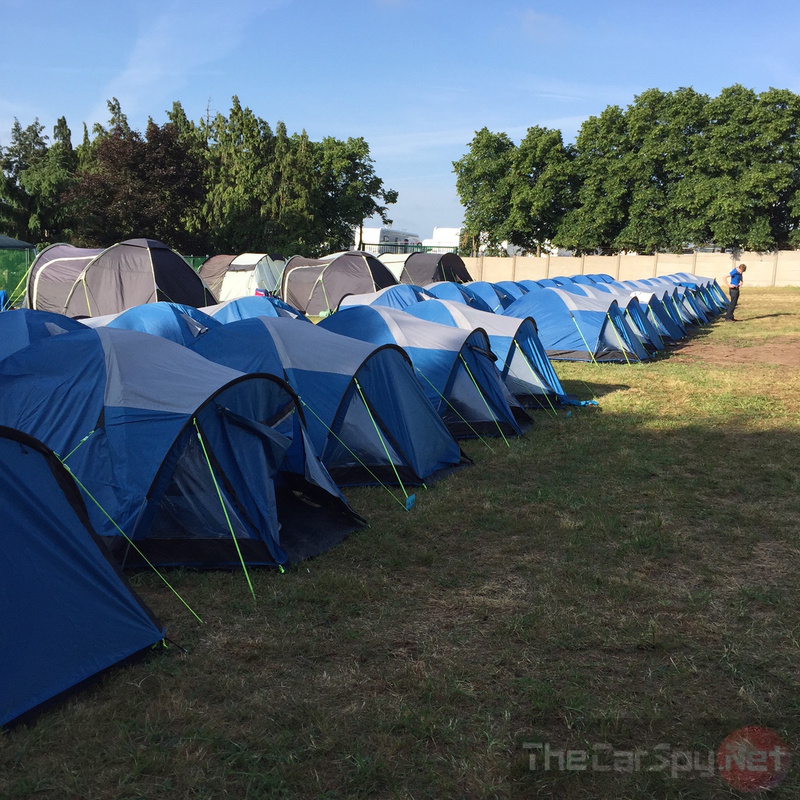 Waking up at Le Mans is a bit like waking up in some kind of war zone, all you can hear is helicopters, screaming tyres and people shouting. Feeling slightly groggy, and the temperature at 26 degrees C (at 9am) some of us decided it may be an idea to go for a wander and see what we could find. Stuart and I walked down to the car park not far from our camp site to be greeted by the PH VIP cars and also the McLaren VIP’s next door. 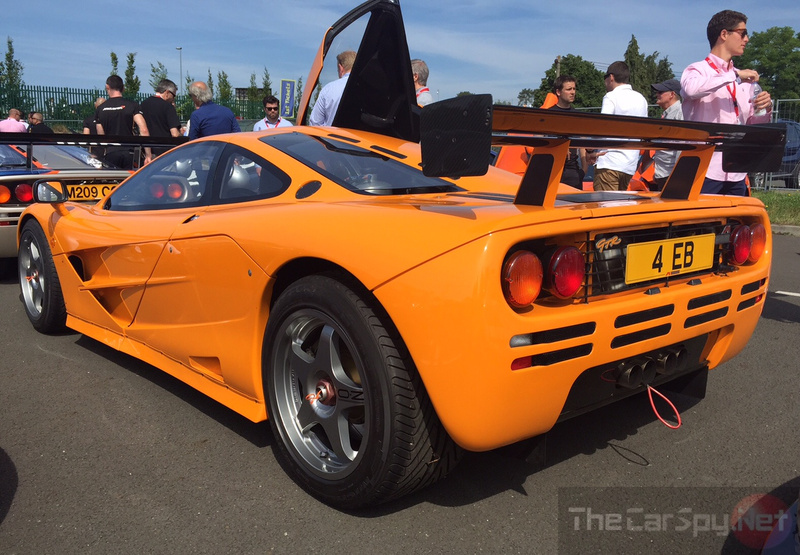 It was a compound full of P1’s, F1’s, 575’s and just about every McLaren imaginable…BUT it was cordoned off and I couldn’t see anybody from McLaren that I recognised. We really wanted to get in so we started to charm the lady at the gate in our best/worst English ‘with a French sounding accent’ whist pulling sad faces and somehow it worked…we were in! We managed to have a quick chat with a few people that we knew (between the photos) one being Tim Burton, AKA Shmee150 who’s fresh back from his Gumball 3000 trip across Northern Europe and the USA. 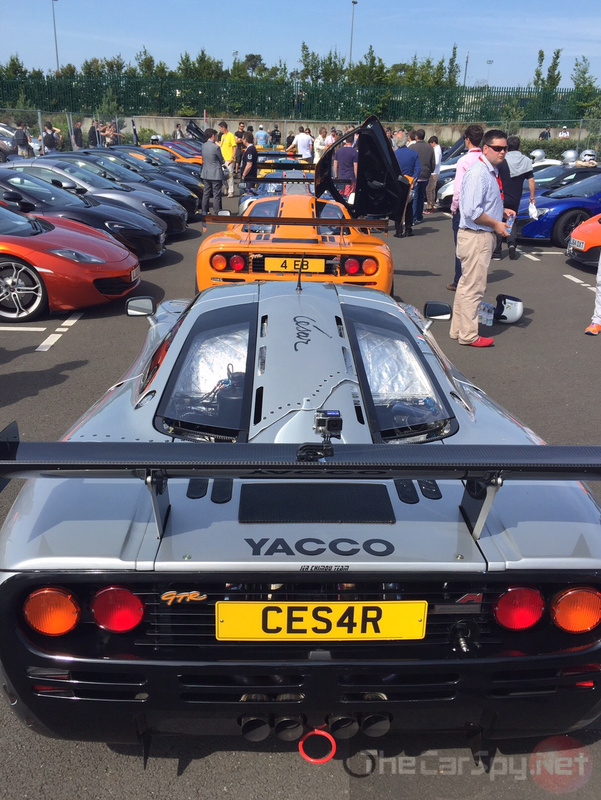 McLaren were making quite a large song and dance about their involvement over the weekend – This was because it was the 20th anniversary of the F1 GTR winning the Le Mans 24 Hour. As you can see from the photos below, they really wheeled out the big guns…. 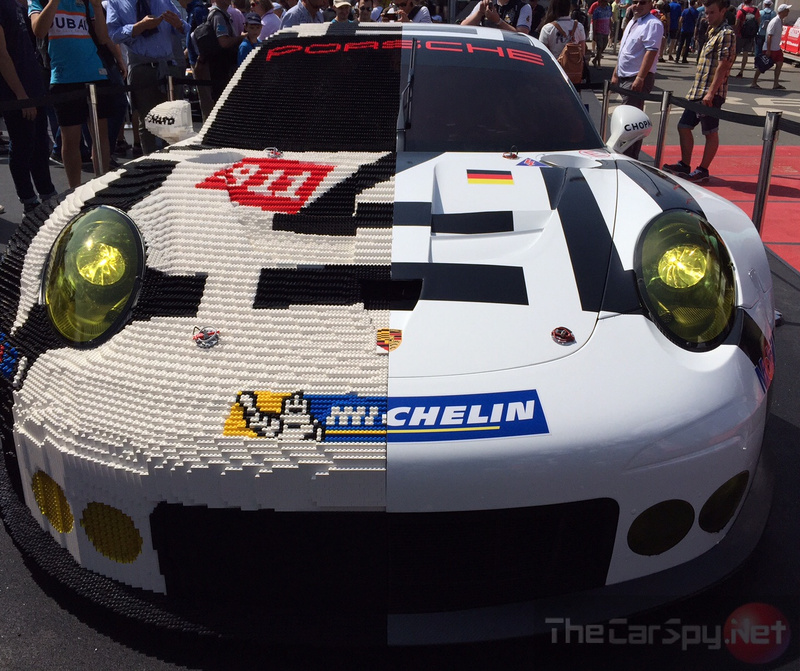 We decided it best to walk up the race village, this is a purpose-built area full of bars, display cars, show cars, sponsor items, and interesting things (there was a 911 GT3 RS Cup built from LEGO! 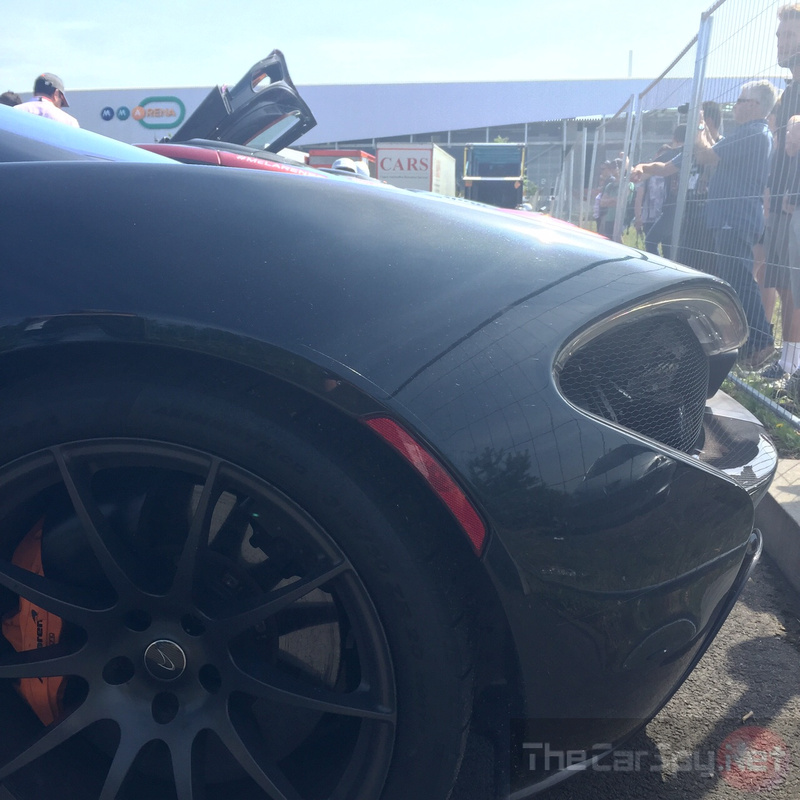 )…It was also a good time to catch up with some more of the VIP crew and chat about cars and life in general. Katie introduced me to Nihal, a lovely Land Rover enthusiast from op’ north who’s big into cars and shooting (that’s clay/game shooting not drive-by shooting). After grabbing some supplies (and a lot of water) we decided to find a good vantage point to see the start of the race. Sadly there was no way of getting near the start finish line so we found a space on a banked corner instead….by this time it was absolutely boiling! Anticipation was rapidly building amongst the crowd with the clock ticking closer to 3PM. Fortunately a bunch of really, REALLY shouty French guys positioned themselves right next to us to keep us entertained (We had no idea what they were shouting). Anyway, with ‘La Marsellaise’ blasting out of the PA system and the huge partisan crowd belting out ‘Marchons..Marchons…Qu’un sang impur…’ etc, it was LIGHTS OUT and the race was on! 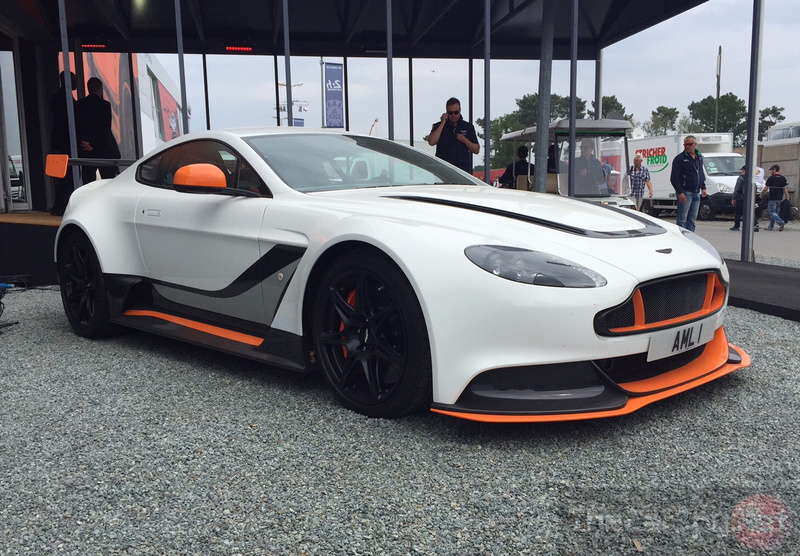 Katie had kindly arranged with David Adams at Aston Martin Racing for us to go backstage during the race, we weren’t quite sure what to expect, or what we were going to see even, but all I can say is that it was far beyond expectation. David led us through security, reminded us to be super careful – this was very much a live area and literally anything could happen at any given point. On a couple of occasions we had to watch our backs as mechanics raced past us with tyres etc for the pit stop teams at the side of the track. 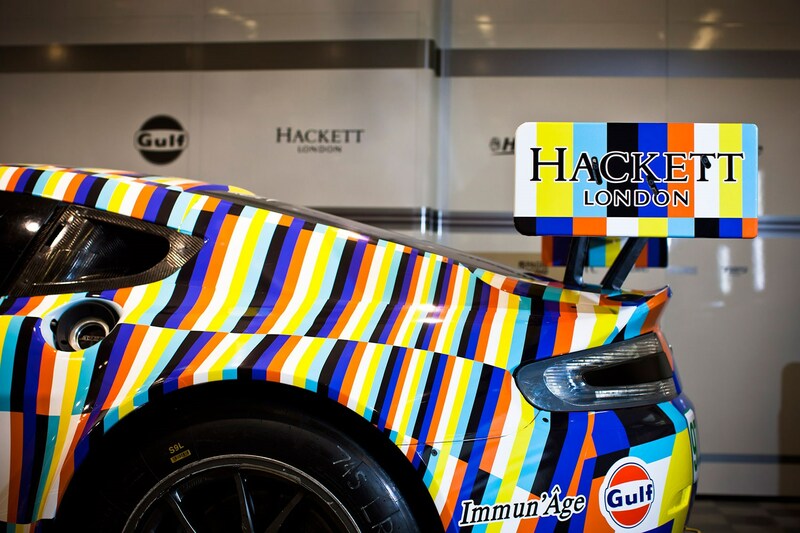 David showed us various parts and tyre sets for the cars, he explained that one of the Astons (#97) was an ‘Art car’ designed by German Abstract artist Tobias Rehberger. As we navigated through to the front of the garage we were placed in a pen of sorts and told to wait there as two cars would be coming in for pit stops, it was fascinating to experience this just a few feet from the drivers and mechanics, you gain incredible awareness of the gravity of the situation, almost like you can feel the tension in the air, but the most awe-inspiring part was the noise! THAT NOISE! It’s like nothing I’ve ever heard…like a really angry loud dog mixed with thunder? Fortunately I grabbed a recording of car #99 pitting to show you all. Yes…that’s how close we were! After our Aston visit, we headed back to the camp for our evening meal, most of the talk was about our experience so far, particularly the noise and tension in the pits! As soon as the sun had set we decided to head back out and do pretty much the same as the night before. This time we had the fascinating prospect of seeing the cars race at night, somehow it all looks much faster and seems more visually dramatic. With the clock heading into the early hours of the morning we were starting to feel really drained, I ended up rambling to Luke from PH about our skiing experiences and favourite jaunts in Austria (mainly about how rubbish I am) the Pro Plus tablets just weren’t working and there definitely wasn’t a can of Red Bull in sight…I had boldly predicted that I would ‘easily’ stay up the whole night, I was in bed by 3.30. Whilst filling up on breakfast, Stuart was informing me about latest state of play, Porsche had a 1-2 in the LMP1 Class and in the GT Class Aston Martin were winning, he was happy with Webber’s performance and so was happy with Aston’s, but he did advise me that anything could happen. 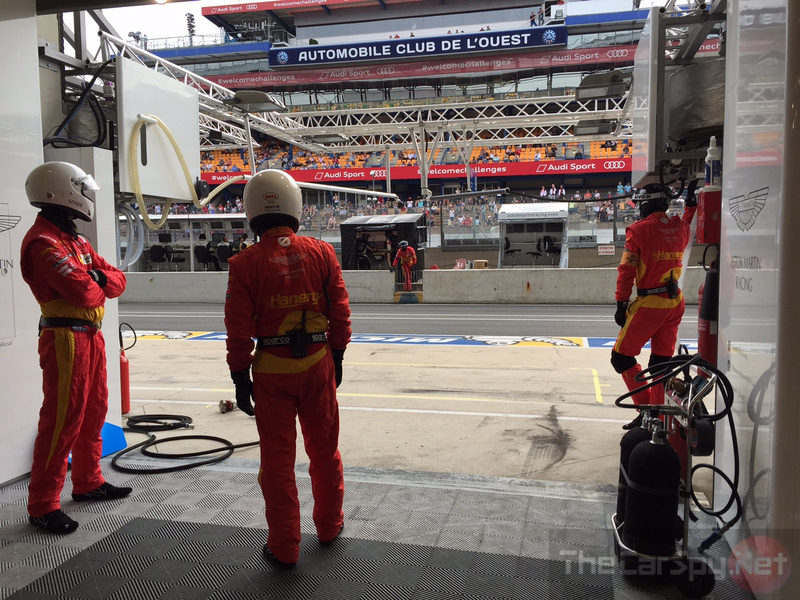 The drivers become extremely tired and the focus drops off allowing for elementary mistakes that would usually never happen in other disciplines of motorsport. Later that day at 2.15 pm, almost twenty-three and a half hours into the race, the leader of the GT class in Aston Martin number 98 momentarily lost his concentration and wrecked his car, sadly his and his teams race over with nothing to show for it but it proved exactly what Stuart had told me earlier. 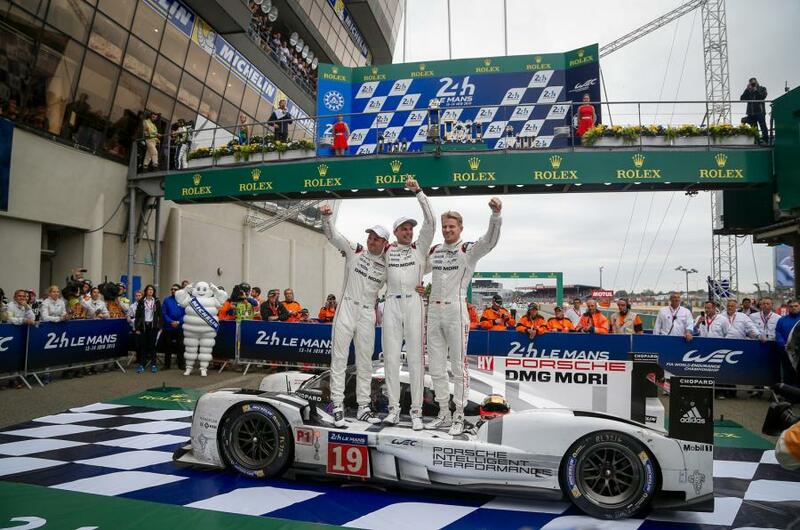 Le Mans fact: Did you know that each team is supposed to have at least three drivers to share the endurance? Years ago however some drivers would actually do the whole event solo – can you imagine 24 hours behind the wheel without sleep while racing a 1000hp behemoth? I had decided my personal itinerary for the day was: firstly, visit and scale the ferris wheel, the view from up there is incredible. My only regret is that I didn’t go up at night – I highly recommend you to do this if you have the chance! 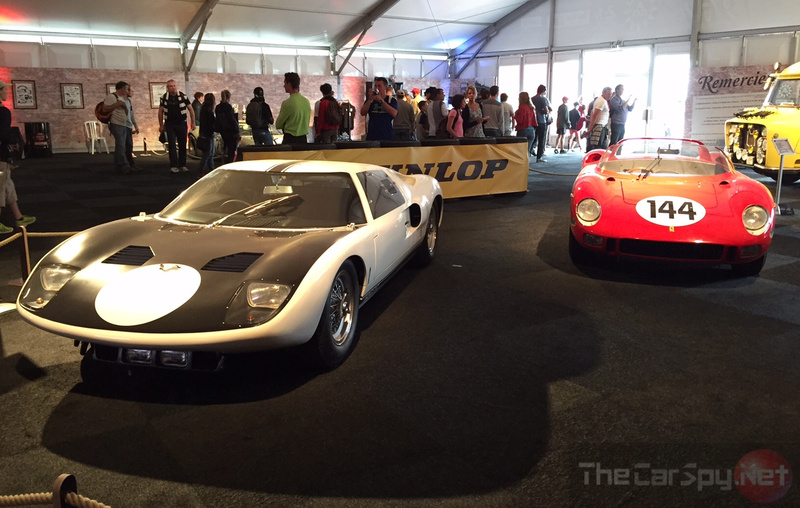 To visit the Ford v Ferrari showcase. Some seriously valuable cars here…a few that you may even have diffic!ultly placing a value on. 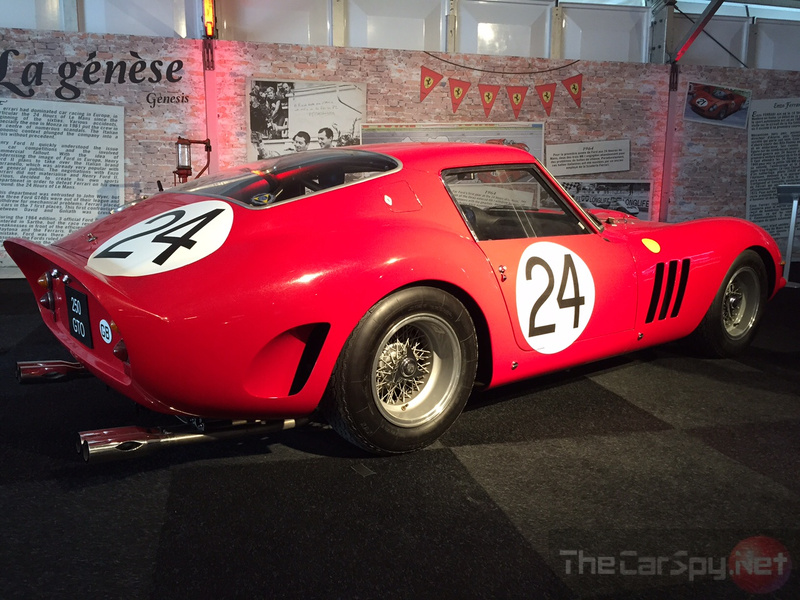 For example – the first car we stumbled across was a 250 GTO! 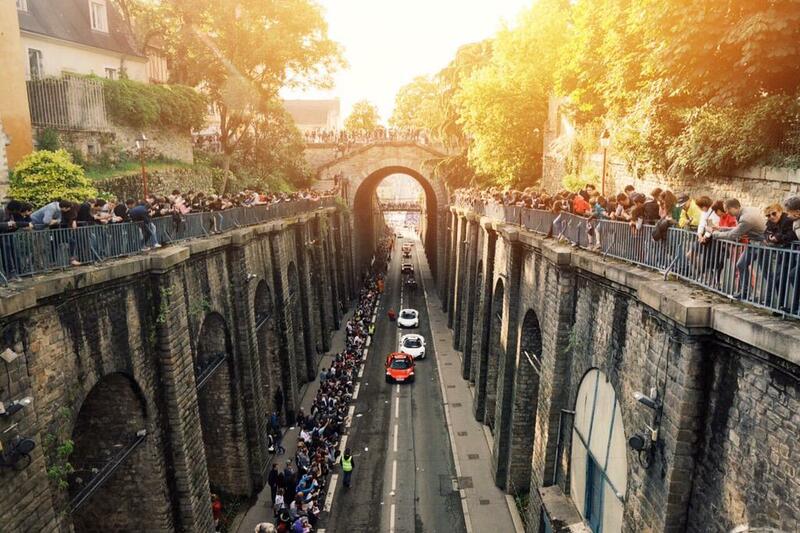 To witness the winner of Le Mans and the end of the 24 hours. This time it was Ex F1 star – Nico Hulkenberg’s turn in Porsche (LMP 919) number 19 completing a massive 395 laps in total with his team. Finally, it was time to say our goodbyes to the rest of the camp and dash back to Paris in time to catch our Eurostar home…it was almost emotional! Stuart and I had Ben Travis from the Evening Standard and his long serving friend Jack in tow to keep us company, a really top couple of guys. That’s all from me…I must say it was fantastic meeting everybody and I would love to head back next year. 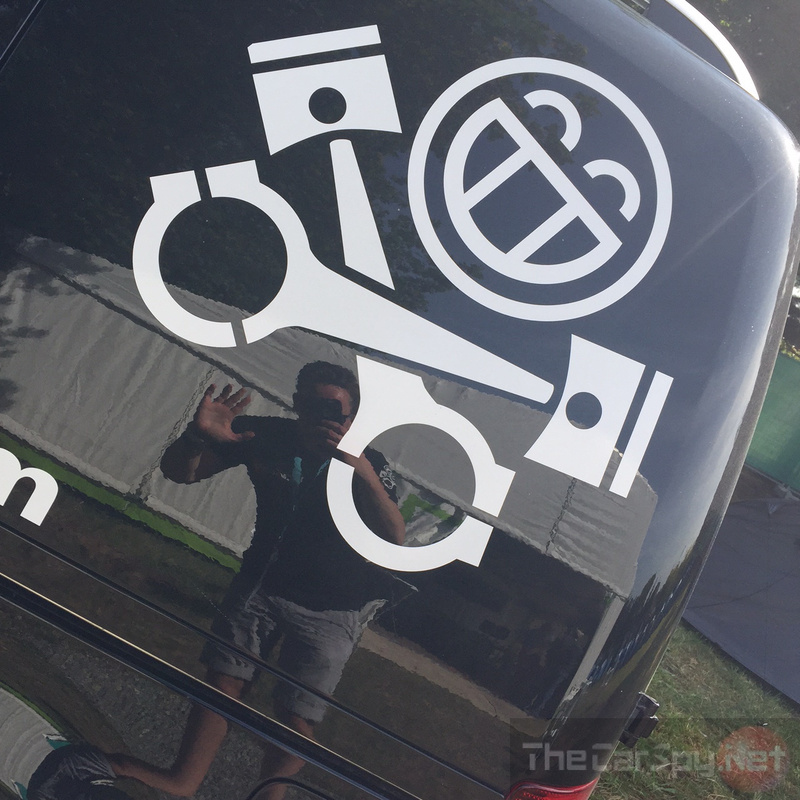 I had a couple of Le Mans ‘Car Spy’ T-shirts printed for the weekend but I guess they aren’t of any use now other than to wear whilst I’m running or gym-ing…still, no publicity is bad publicity they say, right? All of the welcoming accommodating people I had the pleasure of meeting. Lee Williams and Ruben Burton (Pistonheads) – Fantastic pair of guys – the future of Pistonheads is in safe hands. Stuart Masson (The Car Expert) – Race informant/Le Mans Knowledge Specialist – 5 times Le Mans Veteran. Katie Blake (Rain PR) – Thanks for organising everything – and looking after me – the Queen of PR!